One of my goals for 2016 is to interact and collaborate more with my fellow bloggers. I also love finding and exploring new blogs every day for all the amazing creative content that is posted out there! Then I thought, why not combine the two? I enjoy reading new beauty and style blogs that not only have great advice, including makeup tutorials and product reviews, but are also incredibly inspiring and encourage me to do bigger and better things with my own blog. This is why I created a Beauty and Style Group Board on Pinterest! 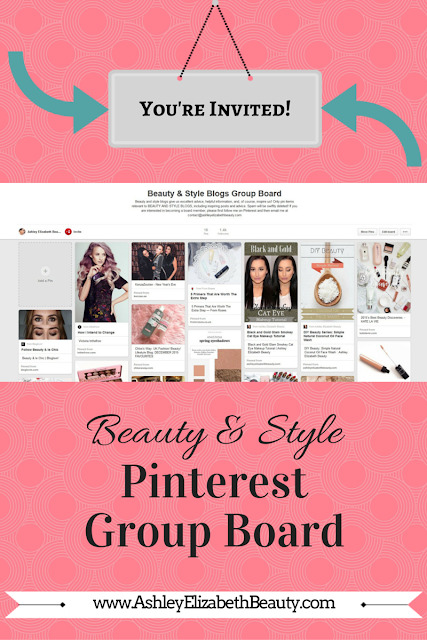 This board was made to feature posts from beauty and style blogs that are relevant and exciting. If you come across great posts all the time, share the wealth with others by pinning them to the group board! Easy as cake, I know. Ready to get pinning? I'm excited to have you!